I am out on an off shore boat trip, from Seattle, north thru the San Juan Islands, and if the weather permits, up into the Gulf Islands of British Columbia, Canada. 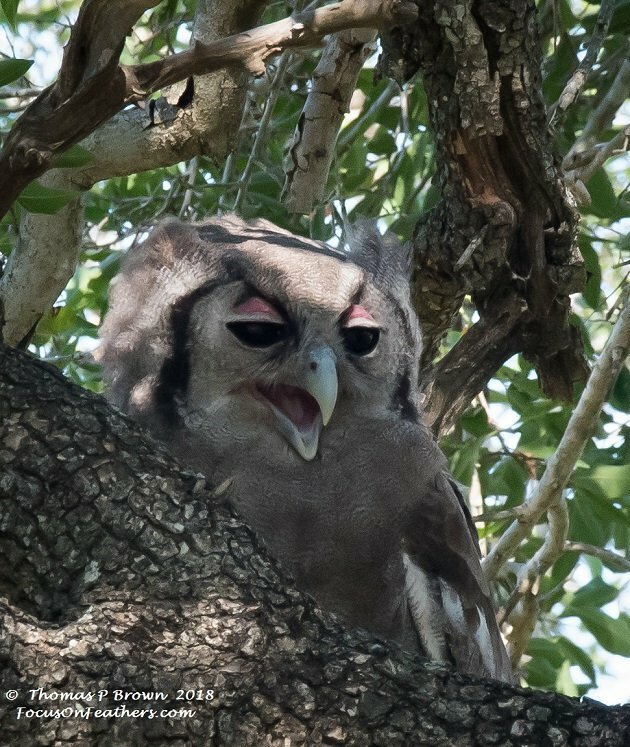 With no real chance of any internet connection to report whatever new birds I am able to find, I am scheduling this photo essay featuring a few of my favorite pictures from Kruger National Park, South Africa. With over 13,000 photos saved from my time there, this was no easy task. So, I started at the early shots, picked a few and here they are! I consider finding all 6 of the Hornbills in the park a real accomplishment. 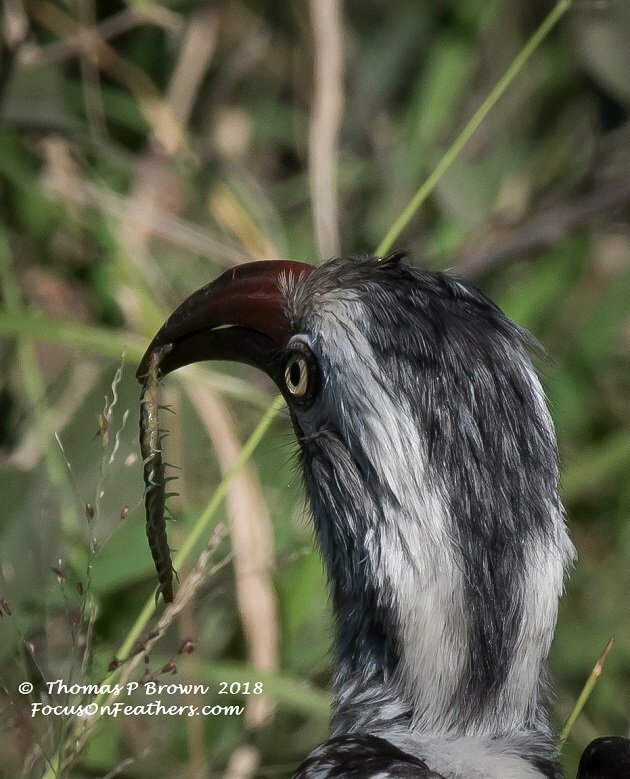 This Southern Red-billed Hornbill had found some form of centipede for an early morning breakfast. 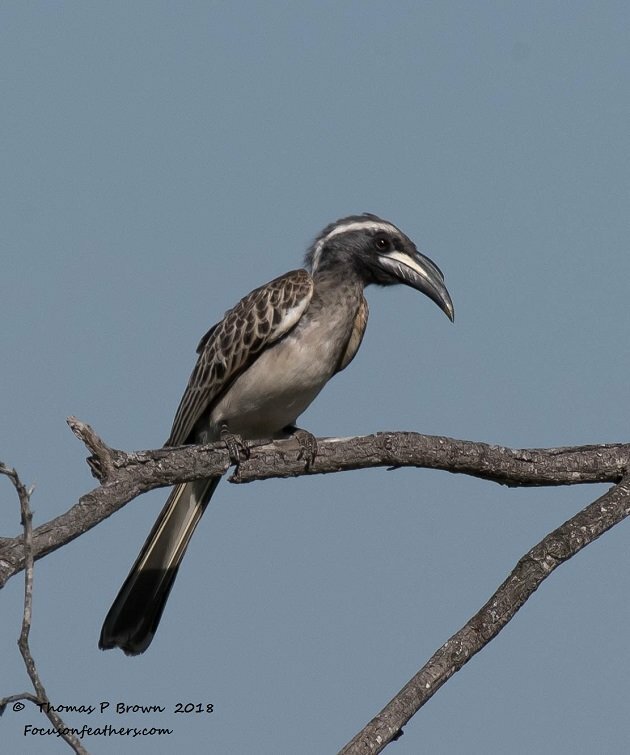 Here is the Gray Hornbill. 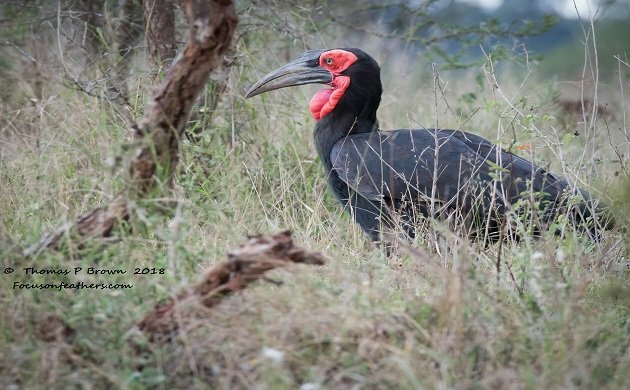 One of the hornbills that are getting rather rare, and any sightings were asked to be reported, was the Ground Hornbill. 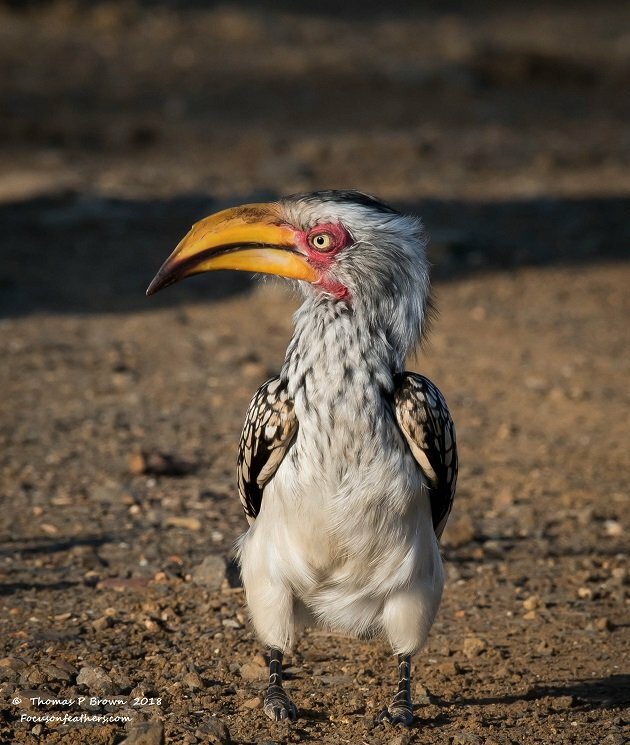 I was only ever able to see the next two birds one time, the first is the Crowned Hornbill. 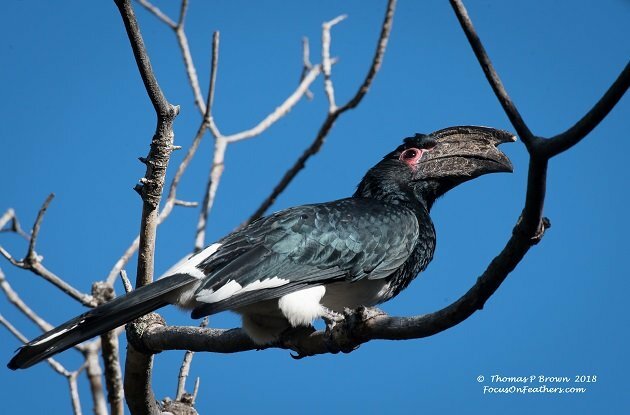 One of several birds that I was able to find, finally, on my last day in the park, I present the Trumpeter Hornbill. 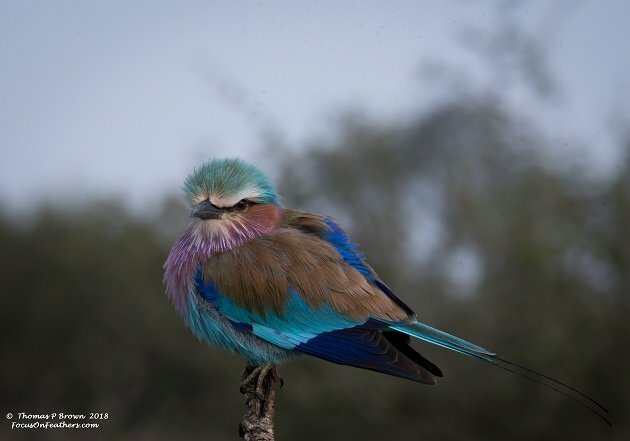 With out any question, one of the most beautiful birds I have seen on any continent, is this Lilac-breasted Roller. 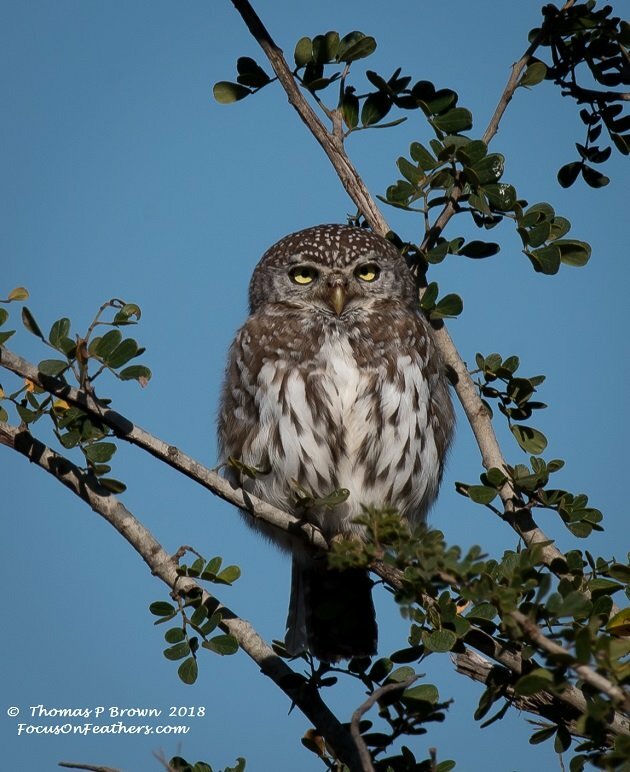 I was only able to find two South African owls, the first was the tiny Pearl-spotted Owlet. This is one of a pair of Verraux’s Eagle-owls. Every now and then, we would spot one of the bustards wandering thru the low grasslands. 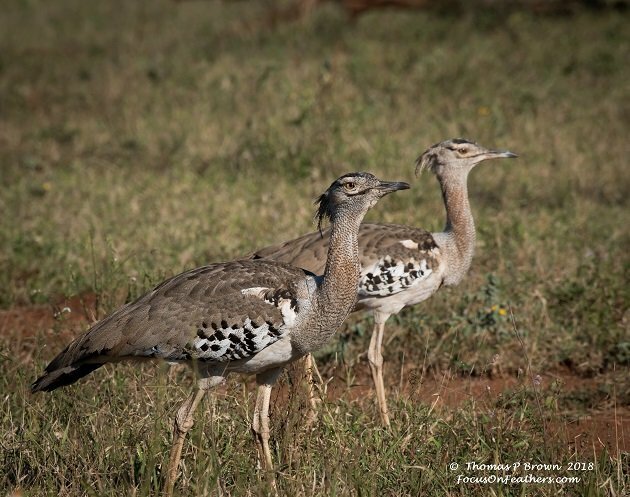 This pair of Kori Bustards provided some nice pictures. 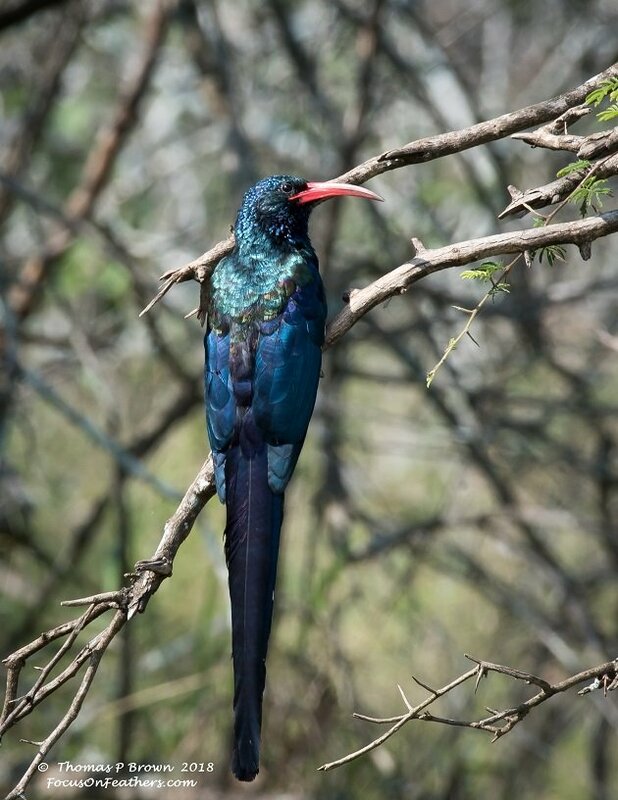 In the long tailed bird series, the first bird seen was the Green Wood Hoopoe. Another last day bird, at least for a decent photo, was the Scimitarbird. 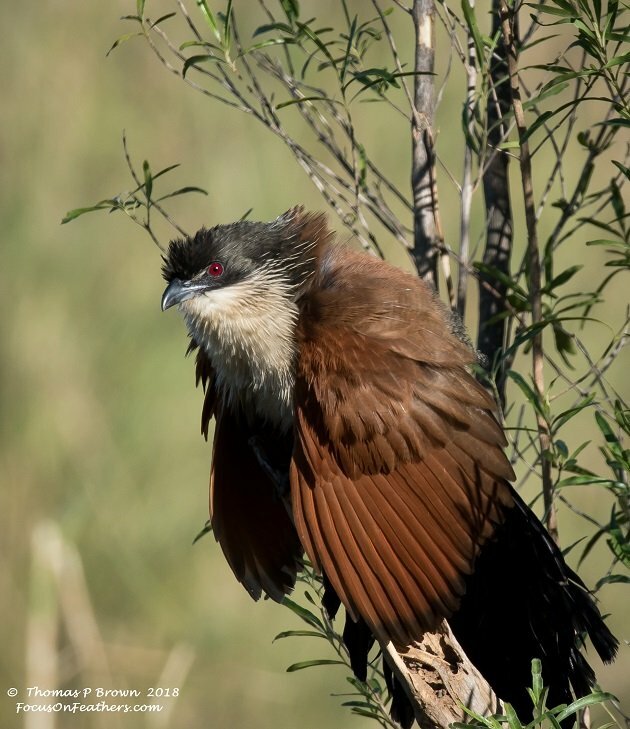 One of the very first birds I got to see on my way into the park, was a Burchell’s Coucal. It fast became one of my favorites. This one was warming up, in the early morning sun, near the Hippo Pools. 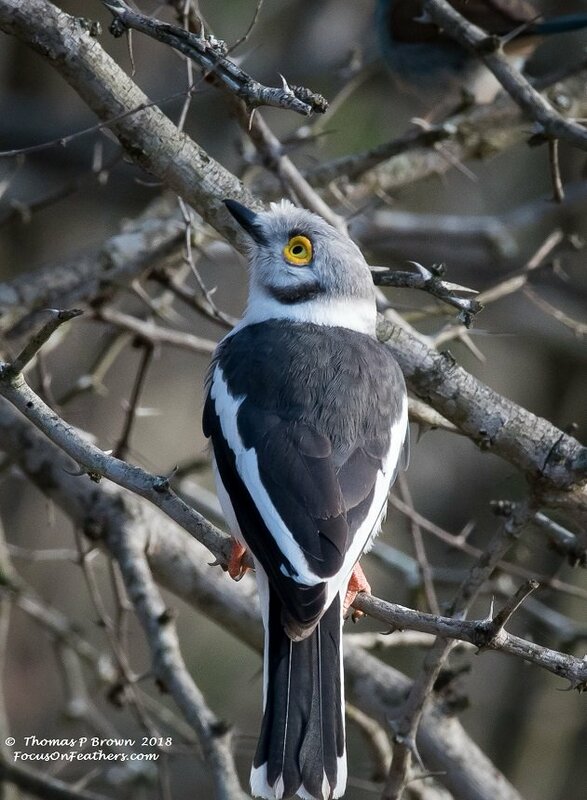 I had the hardest time tracking down one of these White-crowned Helmet-shrikes. On the very last day, this one landed right near our house. 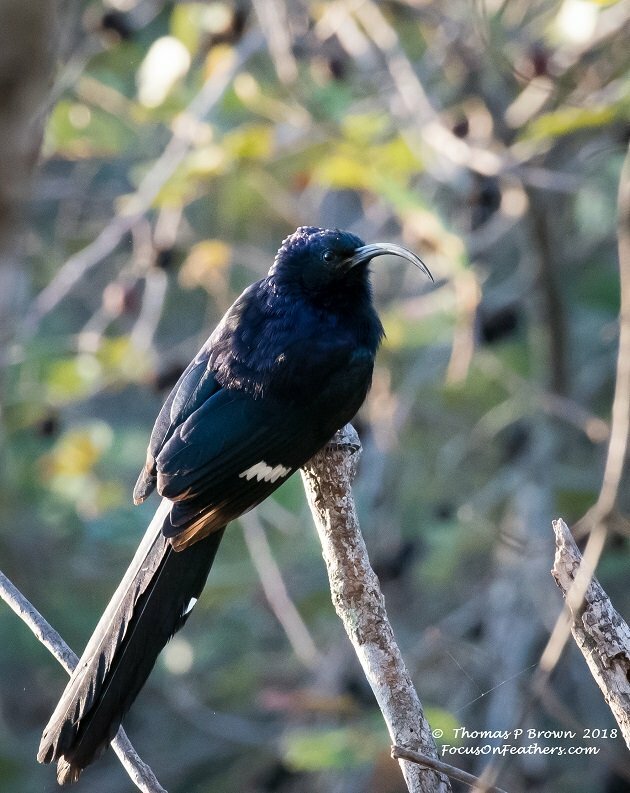 This lovely bird is one of several sunbirds |I was able to find during my stay. 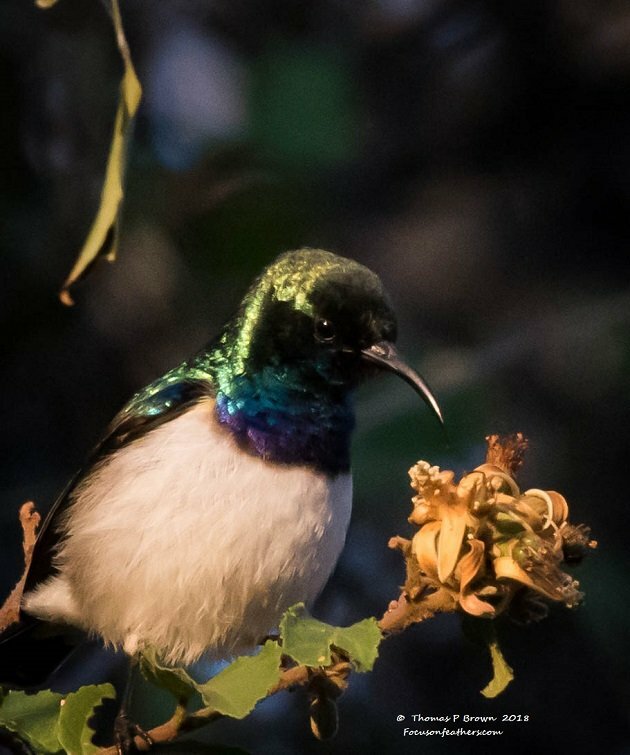 This is the White-bellied Sunbird. 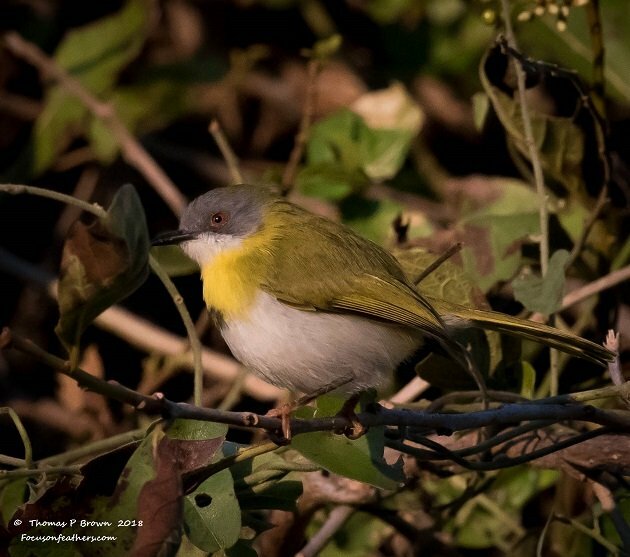 These tiny little Yellow-breasted Apalis made for a great photo, from the Skukuza area. I was fortunate enough to photograph lots of birds of prey, from large eagles down to small little kites. 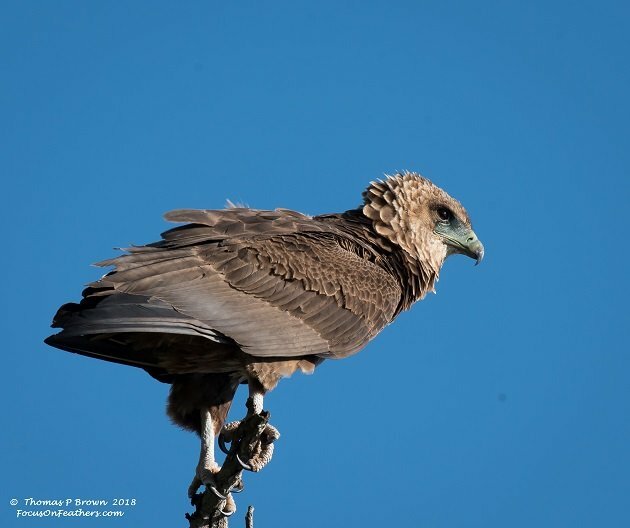 One of my favorite early pics was of this juvenile Bateleur. 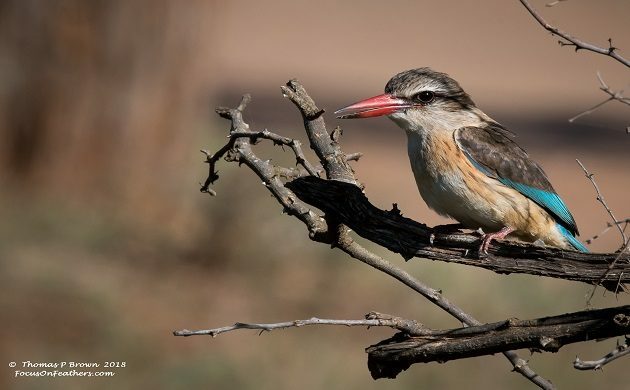 As a final note, in case you are wondering, the bird that is featured at the top of this story, is the Brown-headed Kingfisher! Such great photos, brings back good memories. 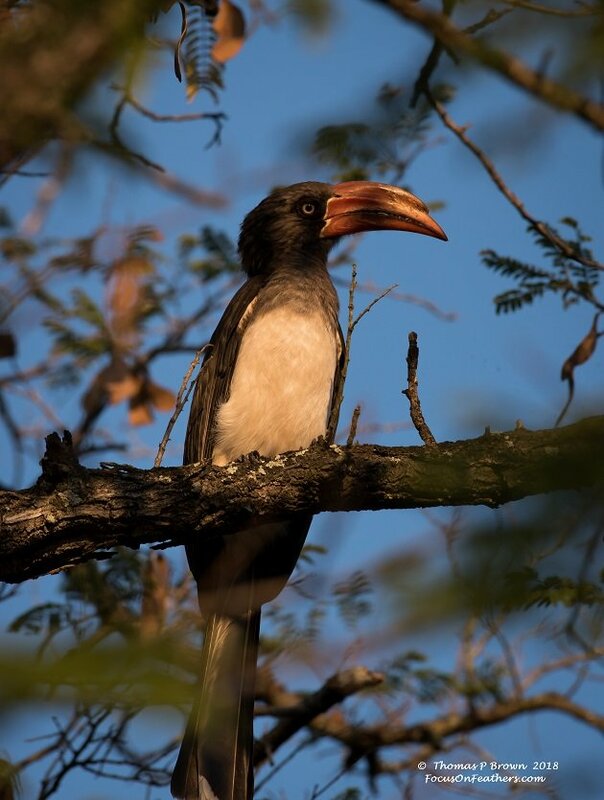 Seeing my first Hornbill in Kruger (it was the Yellow-bill, of course) brought on the most amazing feeling inside, to know that these birds really exist in the wild! Where Are You Birding This Fourth Weekend of April 2012?